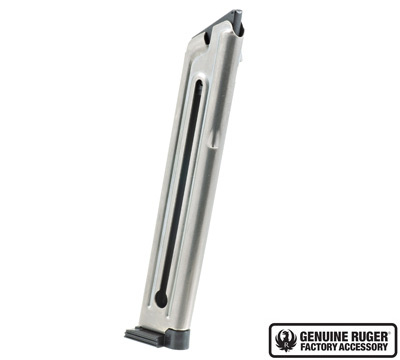 - Stainless steel, 10-round, .22 caliber magazine for the Ruger® Mark IV™ and Mark III™ pistols. Design is subject to change without notice. Does not fit any of the Ruger® 22/45™ models. - Repackaging: These are brand new, Genuine Ruger® Factory Magazines. Sometimes we may repackage them for safer, faster, and more efficient shipping.